Fixed Mount Shutter Clips allow you to properly mount non-functioning wood shutters for decoration rather than for protection against storms. Fixed mounted shutters mount in the same location as functional shutters enhancing the appearance of the home. 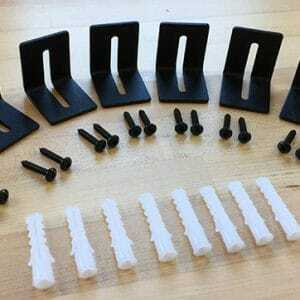 Clips feature an adjustable design that allow for a ventilation gap with different shutter thicknesses. 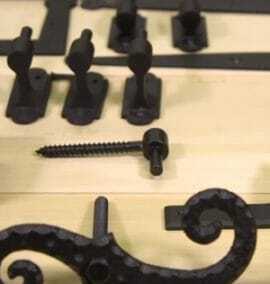 Kit includes 8 clips, fasteners, and anchors to mount a pair of shutters to either wood or masonry.